The fun-to-drive 2015 Mazda MX-5 Miata is back on the market this year and celebrating its 25th anniversary. Complete with incredible steering, excellent refinement and top-notch handling, the iconic roadster is just as appealing as it was when it debuted in 1989. In an effort to commemorate the car's 25th birthday this year, Mazda is offering an all-new 25th Anniversary Edition trim level for 2015, along with the traditional model. To acquire details about the model and other features available on the Mazda MX-5 Miata, read our comprehensive 2015 Mazda MX-5 Miata review. For the new model year, the latest Mazda MX-5 Miata comes in four different trim levels: Sport, Club, Grand Touring and 25th Anniversary Edition. The latter model is new to the lineup this year and sports fresh features, such as 17-inch wheels, leather upholstery, keyless ignition/entry, xenon headlamps, Bluetooth, satellite radio, Bilstein shocks and a sport-tuned suspension. Additionally, this year the base Sport convertible model now comes with a cloth folding top instead of a vinyl one. The 2015 Mazda MX-5 Miata in Houston also features a six-speaker sound system, a height-adjustable driver's seat, foglights, power windows/mirrors, a glass rear window and a leather-wrapped steering wheel, completing its look. When it comes to powertrains, the 2015 Mazda MX-5 Miata in Houston sports a 2.0L four-cylinder, delivering 167 horsepower and 140 lb.-ft. of torque when matched with a manual transmission. The six-speed automatic lowers its output to 158 horsepower; however, it does come with shift paddles on the steering wheel. With the automatic, the Mazda MX-5 Miata produces an EPA-estimated 23 mpg combined, while the six-speed manual produces an EPA-estimated 24 mpg combined. The five-speed manual delivers the most fuel economy, with an EPA-estimated 25 mpg combined. If you want to learn more about the new Mazda MX-5 Miata, continue browsing our 2015 Mazda MX-5 Miata review for additional details. We're more than confident that the Mazda MX-5 Miata is perfect for you. 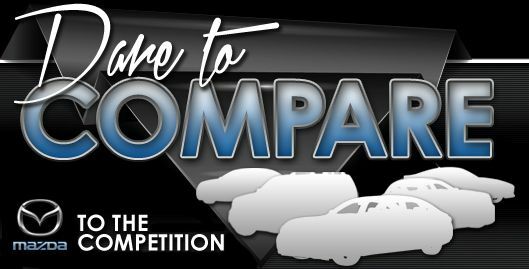 That's why we supply tools that' enable you to compare Mazda's newest model against the 2015 Ford Mustang, Fiat 500 and the Mini Cooper. With handy features and an handsome design, shoppers will love the Mazda MX-5 Miata. It's a phenomenal value. Just compare its price to the vehicles in its class and you'll certainly see why so many Houston drivers love it. The bullet list below this text will give you even more useful facts! 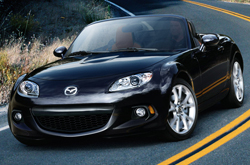 Joe Myers Mazda is your source for 2015 Mazda MX-5 Miata reviews and car comparisons. We stand out from other auto retailers by offering reviews provided to assist you in your vehicle search. Every summary comes filled with beneficial facts, specs and research - just what you need to make wise decisions about your next Mazda purchase. After checking out about the 2015 Mazda MX-5 Miata, please fill out the form on the right to message Joe Myers Mazda to learn about incentives and finance offers.